Honesty and integrity are not just words to us. They embody the quality of service you deserve; the quality of service that we make it our mission to provide. Every time, to every customer. We are an employee-owned company, dedicated to making your home healthier, more comfortable and energy efficient. We do so by providing top notch air conditioning repair and air conditioning replacement in Cape Coral. First-time customer? Get a coupon for a service call for only $29. 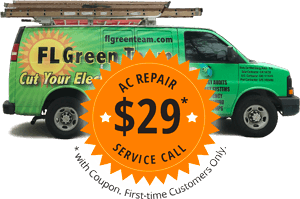 Need emergency AC repair in Cape Coral? Call us now: 239-309-2736. Your comfort is so important to us, that we provide emergency service at any time of the day or night. If your AC stops working, don’t hesitate to call us right away. An experienced technician will show up at your door, ready with a fully-stocked service vehicle to diagnose and fix your problem as quickly as possible. We always charge a flat fee for our service calls. Many companies claim a free service call but then charge you a trip charge or a diagnostic fee. We send one of our certified technicians to your home, diagnose the problem and quote you for the repair for a set price. No string attached. Once you see the way we do business, you’ll want us to be your AC company in Cape Coral! If you were to drive your car 100,000 miles without changing the oil, you’d expect it to break down. The same logic holds true for your air conditioner. That’s why we offer convenient, affordable maintenance plans to help keep your air conditioner in optimal condition – and extend its lifespan. Not only does maintenance help you avoid the hassle and expense of a repair, but it helps you save energy, too. The steps your AC maintenance technician performs to tune up your unit will help it run at its maximum efficiency. Your cooling costs will decrease as a result. Get Your First-Time Maintenance for $49! Get a Free, No Obligation AC Replacement Estimate Instantly! Unlike other companies, we don’t send out pushy salespeople to upsell you on expensive equipment when all you need is a good repair. But when the air conditioner in your Cape Coral home is on its last leg, or it’s over 10 years old, our technicians will make you aware of your options. We’ll look out for YOUR needs and budget for a replacement air conditioner – not just what will make US the most profit. 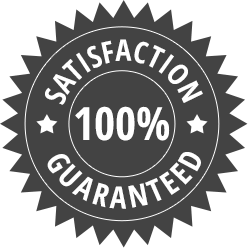 Your 100% Satisfaction is Guaranteed – or Your Money Back! 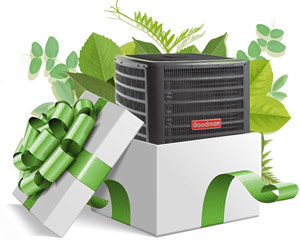 We stand behind the Trane, Goodman and Rheem air conditioners we sell and install. If you’re not happy with your new unit in the first 30 days, we’ll give you your money back and remove the unit. To help us understand your particular situation and concerns, we first have you fill out a short survey and then provide various options. We take into account things like whether you live in Cape Coral seasonally or year-round, the size of your home, any issues like allergies and humidity, and your ductwork. The “Whole House Approach” to air conditioning recognizes the fact the duct work that delivers the cool air to your home is just as important as the air handler (inside unit) and condenser (outside unit) mechanical equipment. Testing for and eliminating excessive duct work leakage contributes to substantial monthly savings. Read more about our Whole House Approach. 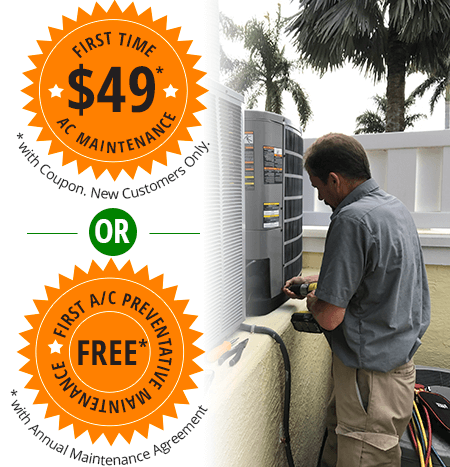 Call us at 239.432.1500 to schedule air conditioning service in Cape Coral today! To speak with our staff right away, please call 239.432.1500 for 24/7 emergency AC repair in Cape Coral. Otherwise, please fill out the service request form below and we will contact you during normal business hours.